The Practical Nursing program was great. The teachers are awesome and I felt that they prepared for the NCLEX. This school gave me the confidence to go out in the real world as a nurse. The Practical Nursing program is amazing. It is hard, but you learn a lot and clinical experience is great. It was nice being able to learn all the information I needed to be an LPN in just one year. I’m so fortunate to have chosen the PN program. It is one of the best in CCTC. The program prepared me to be the nurse that I always wanted to be. I will recommend it to anybody who wants to become a good nurse.. Thanks to the instructors. This program is one of the more difficult programs I’ve been in, yet if you dedicate the time and energy to it, it is worth it because at the end you’ll have the knowledge and confidence to be on your own..
Great program and staff. I would recommend it to anyone! Everyone here at CCTC wants you to succeed and get a job! Overall, this program was very rewarding and would recommend to anyone. The school is really good in preparing students for the NCLEX and for the real world. We had a lot of hands-on experience in many different medical fields, such as in the OB and the VA. They are really hard on the ATI that helps prepare for the NCLEX, which is really good. I enjoyed most aspects of this program. The practical portion is very beneficial toward our learning/training experience. Most RN’s I know have said how impressed they are at the amount of time we spend with hands-on learning. I suggest this program to anyone who wants to start a career in nursing. The PN program was awesome! It definitely prepared me to pass my boards and be ready to perform skills out in the real world. The Practical Nursing Program at Cape Coral Technical College has first and foremost provided me with a solid nursing foundation. While at clinicals we would receive comments about the notable difference between the student nurses from our school and those from other schools. I have been told by the nurses that I am assigned to work with while out on clinicals that our Instructors are more interactive with the students. My instructors for each semester not only taught me a “Professions” but they provided me with an example of striving to be prepared, teamwork and the compassionate heart. A testament of this school is their reputation. I was not even halfway through the Practical Nursing program when I received my first job offer. Upon my graduation and I have since received other job offers. The Health Care employers know what Cape Coral Technical College graduate nurses bring and that is consistency class after class. This Nursing program is an excellent program with knowledgeable instructors and they work as a team to build a strong foundation for future Licensed Practical Nurses. I personally enjoyed my learning experience with High Tech North, now known as Cape Coral Technical College. 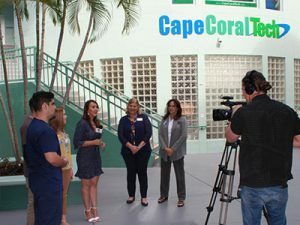 Cape Coral Technical College by far, surpasses other nursing schools with its devoted staff and desire to produce the best of the best LPN’s. Whether working in a clinical or office setting, you will leave Cape Coral Technical College with the confidence and skills needed to be the nurse you need to be. I started Cape Coral Technical College in the Practical Nursing Program as a second career with no prior medical experience or schooling. I was apprehensive about how much I could not only learn but learn well. It turns out the Practical Nursing program had such a fantastic curriculum both academically and clinically that it gave me the knowledge and confidence to further my education. Shortly after graduating from the LPN program at Cape Coral Technical College, I acquired an Associates degree in the Science of Nursing and became a Registered Nurse. I was able to get through this schooling quickly because much of what the schooling consisted of was material I had already learned In the Practical Nursing Program. Now just a few years later, I am more than half way through a graduate program to earn my Masters in the Science of Nursing and a Practitioners license. Once again I attribute my success thus far to the solid foundation that was laid by the Practical Nursing Program at Cape Coral Technical College. I would say that people should go to Cape Coral Technical College because it is the perfect mix of hands on and theory that made me feel confident when out in the field. It also gives you an automatic (good) reputation in the medical community to which we will be/are a part of. Everyone knows and loves a Cape Coral Technical College nurse! The Cape Coral Technical College PN Program could not have better prepared me to enter the nursing world after leaving the business world. With the knowledge I gained from the program and the experience I received through their clinicals, I was able to take on a job as a new nurse with confidence and excitement. 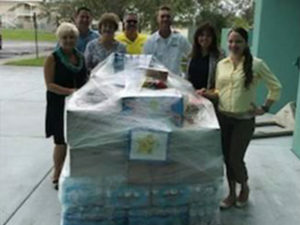 I love being a nurse and have the Cape Coral Technical College PN Program to thank!